If you are trying to print something in the Windows operating system, and it is not printing, the problem can be that the printer is not online. You will not be able to print unless the printer is online. To turn your printer online, you just have to turn on the printer and wait for a few seconds for the printer to change its status from offline to online. Unfortunately, turning your printer from offline to online is not that easy. The printer might remain offline even if the printer is connected to the PC and is turned on. There can be many reasons why Windows is not detecting the printer connected to the network or the computer, and a few of the solutions to the problems are discussed below. The first thing that you need to do before getting deep into the tools and settings is to try to power cycle the computer and the printer. This can help fix the problem many a times. You just need to turn off the computer and the printer. You can then power on the printer and wait until it gets connected back to the network. If you are making use of a USB cable to connect the printer, you need to wait until the printer is done with the starting up process. 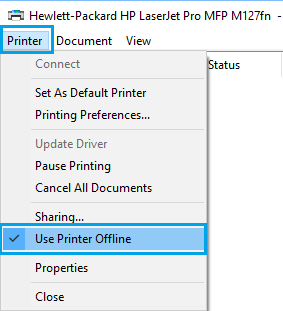 After the printer has turned on, you can turn on the computer to see if the printer is still offline. If the printer is still in offline mode, you need to ensure that the printer is turned off completely and not in the power saving mode. If you are unsure of this, the best thing that you can do is to unplug the printer completely and wait for about thirty seconds before plugging it again. If you find that the printer is still showing offline, you can try to make use of the printer software that was provided with it. These utilities will be able to find the printer available on the network and fix problems making the printer offline. You may also visit the support website of your printer to download the software. For instance, if you are using a Canon printer, you can navigate to the support website and type in the model number to download the software necessary to maintain and manage your Canon printer. This is applicable to almost all the printer models. 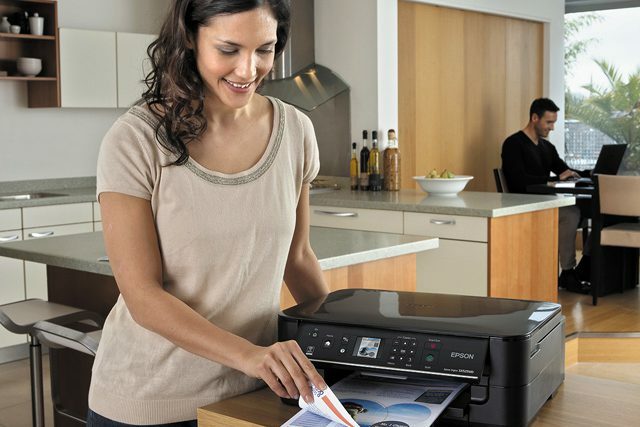 On running the software, you will be able to see the status of the printer that is connected to the computer and will offer additional details of the printer like the level of ink in the tank, paper in the try, and so on. If you are unsure about the presence of printer software in your computer, you can confirm this by going to Settings, choosing Devices, and then selecting Printers & Scanners. 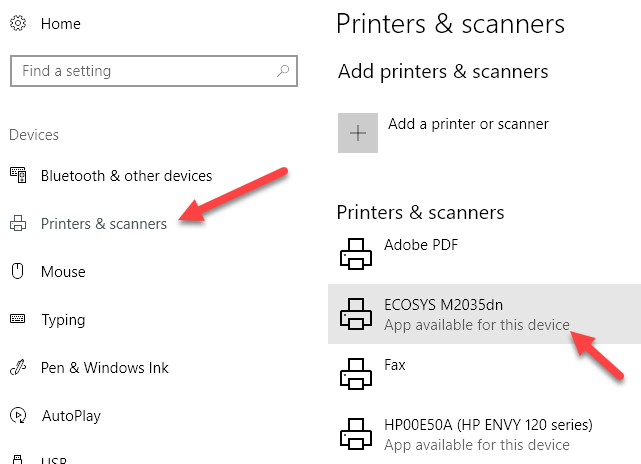 If you are using Windows 10 operating system, it will list out the printers that are connected to the computer. If a software package is available to manage the connected printer, it will displayed App available for this device. Click on the printer, and then click on Manage to reach Open printer app button. At times, even if the printer is connected and online, incorrect configuration of the settings might prevent you from using it. To check this, you can open the printer queue by visiting Devices and Printers in the Control Panel and then double clicking on the printer. You need to click on the printer shown in the menu bar and uncheck Use Printer Offline and Pause Printing checkboxes. If none of the above steps has worked, the problem might be with the port configuration of the printer. Mostly, this applies to the network printer that has an IP address. The likely cause of the issue can be a change in IP address of the printer and the port configuration still pointing to the old IP address of the printer. If this is the case, you need to find the IP address of the printer. 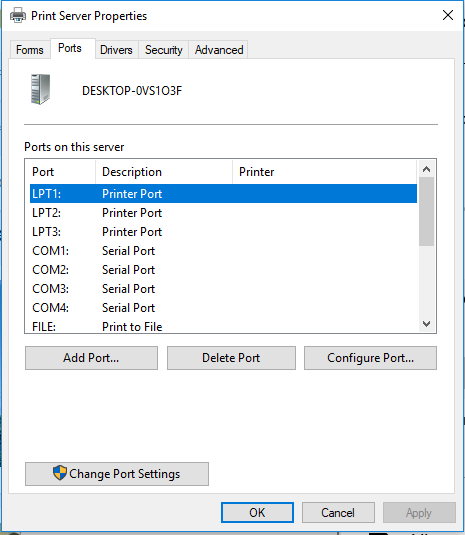 This can be done by printing the network configuration page of the printer. After getting the IP address, you can go to Control Panel, select Devices and Printers, and then right click on the printer that you need to troubleshoot. Make sure that you select Printer Properties, and not the Properties button located at the bottom. Select the Ports tab and scroll down to reach the port that is checked. Choose it and click on Configure Port. A dialog box will be opened letting you know the IP address that it thinks that is assigned to the printer. If you find that the current IP address of the printer is different from the one that is listed here, you can ensure that this is causing the problem. You just need to update the IP address and everything will be okay. If you still run into the problem, get in touch with our tech support team for advanced troubleshooting.